Cafes are a boom all over Sydney at the moment and the trend is quickly spreading around the world. The time has passed where only Gloria Jeans and Starbucks were the places where you could get your hot beverage and have a chill time. While there is a lot of competition in the market, this should not be a reason for you to feel intimidated and if you have been planning of opening your own cafe, you just have to have in mind that it will be a challenge but it can become your greatest success. 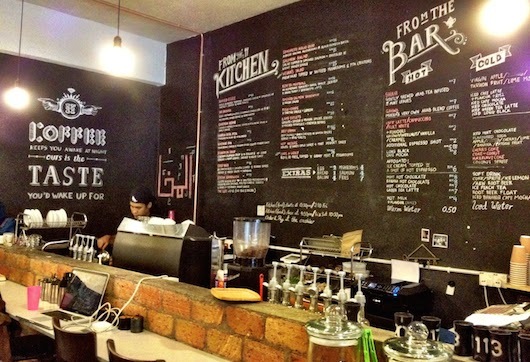 Most cafe owners have either worked for a cafe themselves or simply have a passion for coffee. No matter in which category you fit, it is always good to learn from the best in order to create the new best, take the time to learn more about coffee, what about a barista course? Or what about doing a short business course? I assume you want to start the business in a short term but if you still have some time, why not do a business degree or take the time to work for a well known coffee shop? My boss owns a pizza restaurant and when I asked him how he started, he replied that he worked first for many hospitality companies including hotels, bars, clubs and other restaurants. It was the experience on each of those places mixed with his own taste and dreams what shaped the place that I work at today, Joey’s Pizza. This can’t be highlighted enough, obviously no business can survive or thrive without proper planning. When budgeting, think of an initial amount of money that will get you started, covering costs like building, materials, furniture, equipment, staff and all permits and papers needed. It can sound silly and unnecessary, but as much as you can, avoid getting into debt. It is better to take your time to save up, than to spend the first years of business paying what you owe to the bank or other people. What blends would you like to use? what about the milk? Would you like to offer more than just coffee? If yes, what types of sweets or meals would you like to offer and how could you be creative with it? If you decide to import your blend from another country where you will have almost no interaction with the seller, please be mindful of making sure the materials you use are fair trade. Fair trade is trade in which fair prices are paid to producers in developing countries. As much as you would like to pay the smallest price for your products, it is important that this is taken into account, for it would be great if instead of using creativity to create more problems, businesses took the time and creativity to help find solutions. The location includes both the place where the cafe will run and also the building. Make sure you calculate the space needed well to cater for the amount of people you wish, also, it would be smart to be located around universities, malls or other very populated areas that will make it easier for people to notice and choose your cafe. If on the other hand, you are looking for a more chill vibe, you could choose a more rural location but always make sure people can easily find it. It would also be a good idea to think of parking options and surrounding businesses but this will depend on the location once again. The style of your cafe is vital, nowadays, themes like vintage, minimalist, modern and rustic are trending. The key with styling your cafe is making sure you don’t go out of style, stay with one specific style and be as creative as you can be with it, but avoid mixing styles that at the end of the day will leave you with no style at all and people will not see anything characteristic about your store. If you would like, you can create your own style, but this will have to be reflected all through your store, from marketing to design, furniture and even language (Words choice). Last but not least comes the staff. Working with the right people who understand, love and follow your vision will take you further than you think. Work with people who love what they do, and make sure they understand the value you place on customers. More than anything have fun and learn from experience! Congratulations for making the decision of starting your own cafe!